Like it or not, the chances are you will have to pay company car tax. If you have a company car then you will probably end up paying company car tax. However, the way company car tax is calculated depends on what type of vehicle you drive. For example, what about company car tax for a pickup? In this article, we look at how company car tax for a pickup is calculated, and some of our top pickup picks. Can I use a pickup as a company car? It must have a payload of at least one tonne – this is excluding the removable hardtop cover. This is the criteria it must reach to be classified as a Light Commercial Vehicle. The good news is that many four-door, four-seat pickups meet these requirements. 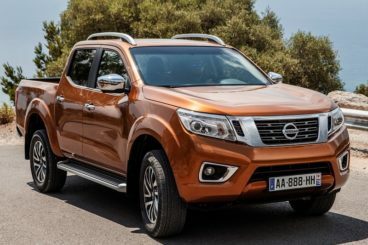 Although it’s unusual, pickups can make great company cars, and we suspect that they will become a popular option in the coming months and years. How is company car tax calculated for a pickup? The reason we think pickups will be more popular over the coming years is because if your pickup meets the above requirements it will be taxed as a van. Because it will be taxed as a van it means that it will be taxed via a fixed BIK rate. This differs to a company car as a company car is taxed via a sliding BIK rate based on the CO2 emissions, your personal tax bracket and the P11d value of the car. 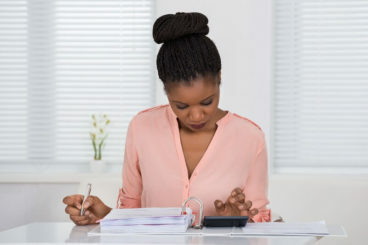 Instead, you will simply be taxed a fixed amount that can be reduced via a certain number of things, which we will go into detail about below. Now we know that pickups class as vans and thereby taxed via a fixed BIK rate, how do you calculate it? Other employees use the pickup – in which case, the £3,150 will be divided by the number of those driving it. So, say if you pay for your own private fuel and you use your pickup for private journeys then you will have to pay just a percentage of the £3,150. For example, if your personal tax bracket is 20% then you will have to pay 20% of £3,150 a year which is £630 a year or £52.50 a month. Are there exemptions to company car tax for pickups? As with a lot of things, there are exemptions to the rule. The only exemptions for pickups is if they are not used for private journeys. With the exception of limited personal use. For example, if you need to take the vehicle home at the end of the day to get an early start tomorrow. There are no zero-emission pickups on the road as yet, so naturally, there are no exemptions for that. However, word on the street is that there will be some zero emission pickups on the market as early as 2018. In which case, they will be taxed the same as a zero emission van which is a fixed value of £630. What are the pros and cons of having a pickup as a company car? 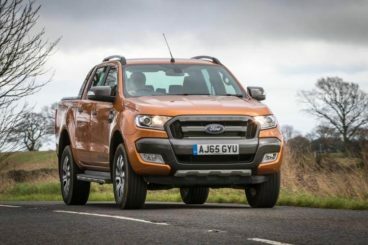 Now we’ve established how company car tax for pickups are calculated, what are the pros and cons of having a pickup as a company car? This one is also obvious but pickups can be expensive and they emit quite a bit of CO2. This means that if they were taxed as a car, you’d be paying considerably more. But, as they are taxed as a van, it’s an absolute bargain. 4×4’s are still winning when it comes to drivability. That’s not to say they aren’t still great to drive, it’s just that if performance is your main concern, you might want to look elsewhere. Unfortunately, there is no ultra-low emission pickup…yet. There could well be in the future. But, if eco-friendliness is the most important thing for you when it comes to a company car then a pickup probably isn’t for you. So hopefully this has given you some idea of how company car tax works for a pickup. We’ve also gone through the pros and cons of having a pickup as a company car. But, for more information, you can read our article on why we think your next company car should be a pickup. Or, you can take a look at some of our best pickups for company cars.